One could be forgiven for thinking lately that the world seems to be going to hell in a handbasket. I needn’t mention all the unsettling things that have gone on globally in recent times, the events are still so fresh and are being discussed endlessly in the media. Fear of instability is rampant and is, I feel, often incorrectly attributed to certain groups in society, often those who are most vulnerable. Divisiveness is encouraged as we are told to fear those who may take from us what is “rightfully” ours. This sense of connectedness, of beauty and collective fragility, is at the core of perfumer and writer Sarah McCartney’s novel The Scent of Possibility. When I read this novel last year, I was quite moved by the kind and generous spirit of the book, the intense Britishness of it (there are many, many cups of tea served), and the way the characters connect and intertwine. The Scent of Possibility is both a remedy for and a respite from real life, while encapsulating all that is good about people and their capacity for kindness. 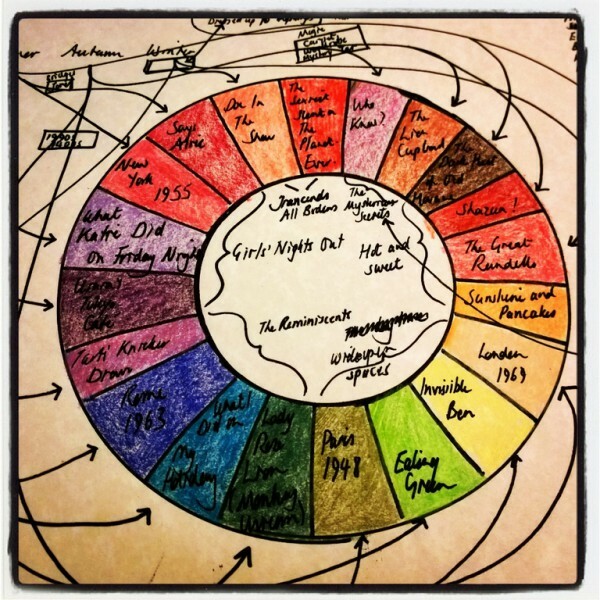 The novel, lucky for us, was the catalyst for the accidental launch of Sarah’s 4160Tuesdays perfumery. The story goes that McCartney was writing a novel about a perfumer/counsellor who creates bottles of personalised scent that capture her clients’ happy memories. Suddenly, all her friends were asking her to make the perfumes she was writing about in the novel, and make them she did. Now we all have the wonderful fragrances of 4160Tuesdays – with their fabulous names and creative backstories – to wear and enjoy. How serendipitous! Down a cobbled mews off one of London’s rare tranquil backstreets, people come to talk, gaze at the garden, have a nice cup of tea and a biscuit, then leave with a small blue bottle of perfume. Captured inside it is the scented memory of happy times. The protagonist in the novel (our perfumer/counsellor) is aptly named Unity Cassel, and I am inclined to think that she is the sort of heroine we all need right now in this chaotic time. Unity connects and unites the characters in the novel in the most delightful way – I’m not going to give away any plot points – and her kindness and generosity cast a wonderfully warm glow over the whole story. Slightly more sinister characters and plot twists and turns also emerge, but instead of destabilising everything, they ultimately serve to shine an even brighter, more positive light upon the more pleasant qualities and characters in the novel. Goodness and connectedness win out over divisiveness. And in case you’re wondering, yes, some of the scents created in the novel by Unity for her various clients have been made into perfumes and are available to purchase from 4160Tuesdays. You can experience a multi-sensory journey by reading the book and then trying the fragrances, or order them first and try them as you read! Among them, Ealing Green, Tart’s Knicker Drawer, Shazam!, What I Did on My Holidays, and A Kiss by The Fireside are available. If you know and wear these fragrances already, you will love reading the book and finding out about the characters and the stories that inspired them. If you’re a perfume buff, or just want to read a really lovely novel about people being kind to one another, give The Scent of Possibility a go. 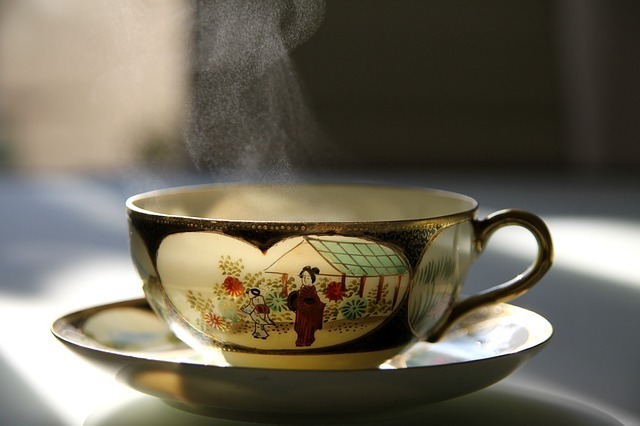 It’s an elixir for the soul and gives hope that good scent, cups of tea and most importantly human connection can help overcome adversity. Smell and Sound is a new series on Perfume Polytechnic, exploring the relationship between smell and sound, including multi-sensory projects created in this field. As a classically trained musician and composer who is also a perfume enthusiast and a synaesthete, I am interested to explore the junctions and interconnections between the senses of hearing and smell, and between the art forms of music and scent. Multi-sensory art that engages people in new, corporeal ways is being embraced by artists, perfumers, and even multi-national companies. People are interested more and more in the interconnectedness of things, including creative modalities. As a composer and olfactory blogger, a creative cook, felter, knitter and textile addict, I am often looking for new ways to combine my creative skills. This series is a result of my personal research and will inform my own creative practice in the months and years to come. As always on Perfume Polytechnic, I want to share what I learn with you. I hope you find this topic as fascinating as I do. Sarah has also worked with poet Claire Trévien to scent her one-woman show The Shipwrecked House. Sarah created the scent of a house and the sea for the show and you can read here about some of the creative processes she used while making the scents for The Shipwrecked House. Sarah has worked on other multi-sensory arts projects as well, and you can read about them all over at the 4160Tuesdays website. A drawing of Covent Garden (the Royal Opera House) in London. Created in 1808, just before the building burnt down and got rebuilt. 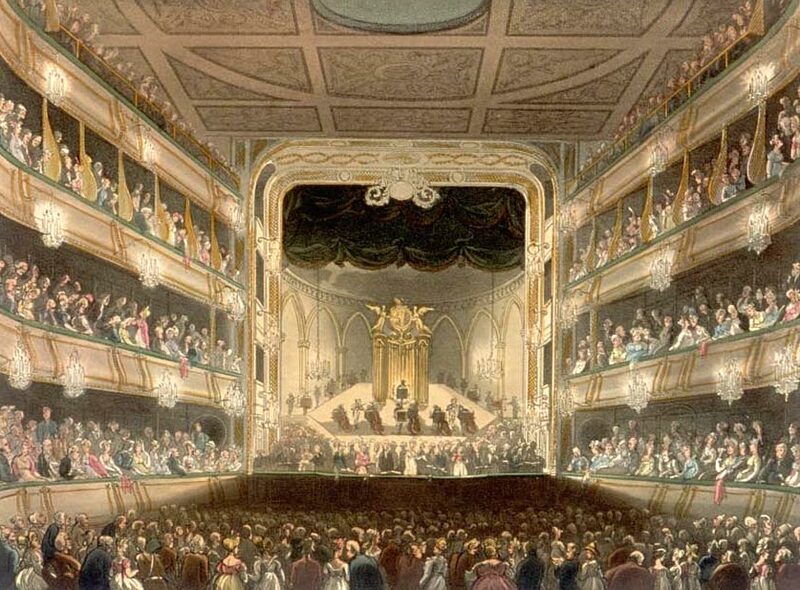 This is how an 18th Century opera house looked. Public domain. Last Monday, November 2, perfumer Sarah McCartney scented a performance of Baroque composer George Frideric Handel’s opera Acis and Galatea at St John’s Smith Square. This might seem an odd concept to modern-day opera-goers, who are used to sanitised spaces often scented with little more than the pleasant perfumes of patrons. However, it’s important to remember that going to the opera in Handel’s day was a smelly business: accidentally, because of the repulsive smells that abounded in Handel’s pre-sanitised 18th Century London, and intentionally: pleasant smells and fragrances were used to mask and detract from the repulsive smells of everyday life and the unwashed. “A few years ago I read about the way early music was scented and wanted to give it a try, bearing in mind that people’s exposure to smell has changed completely over the last 150 years. In Handel’s time scents abounded – from animals, lack of public hygiene, both personal and civic, and from expensive perfumes used by wealthy individuals and establishments, including the church. An opera would have been intensely scented, both accidentally and on purpose. Posies drowned out the stench of the street; dried flowers and incense created a suitable atmosphere, the wealthy powdered their hair and clothes with costly iris root, and kept deterred fleas and moths with patchouli. People generally assume that naturals are safer, but in fact it’s the other way round. For this project I’m using pure synthetics to avoid even the slightest possibility of any kind of allergic reaction. If you want to read more about the opera and how Sarah’s scents were received by the audience, have a read of Sarah’s fascinating blog post Greek Gods & Monsters. It’s so comprehensive and interesting that I decided to link to her post rather than write anything else about the project myself. Sarah was also interviewed on BBC Radio 3 about the project, and you can listen to the broadcast online (and download it if you’re in the UK) for a limited period. The broadcast expires on Saturday the 28th November, so get your skates on! You can hear extracts from Handel’s opera as well as listen to Sarah and musicians from the performance speak about the project. Click here to access the broadcast, and listen from the start of the program. 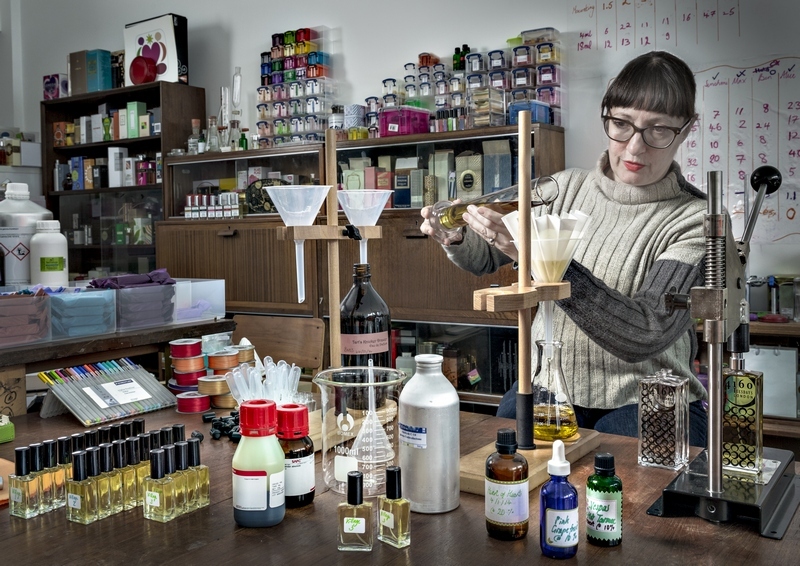 I hope you’ve enjoyed reading about Sarah McCartney’s multi-sensory work as a perfumer and finding out about her recent, scented version of Handel’s’ Opera Acis and Galatea. Stay tuned for more interesting posts in the new Smell and Sound series, which I will publish regularly over the next few months. Today is International Women’s Day. It’s no secret to anyone who knows me well that I’m a card-carrying feminist. The purpose of my Masters folio in music composition was to research and create feminist music, a topic that I studied and engaged in for years prior to my degree, and in the years since. I’m passionately interested in women’s issues and in working towards and advocating for the equality of women, in all areas of life and all occupations. So today I got to wondering about women in perfume: how many women have made perfume in the past, or make it today? Who are our female perfumers? I can’t answer that question in its entirety, but I can make a contribution, and point you in the direction of some resources about female perfumers. Earlier today I (briefly) had the mad idea of creating a list of all the female perfumers that I could find, until I realised how difficult and time-consuming that would be, and until I discovered the fabulous lists already compiled by DeeOlive at Basenotes. DeeOlive has compiled a thirteen-part series of lists of women perfumers and their creations. Her list starts with this post here; at the bottom of the post, click on the “Female Noses and Perfumers – Part 2” link at the bottom, and so on at the bottom of each subsequent post, to sequentially find your way through all thirteen parts. 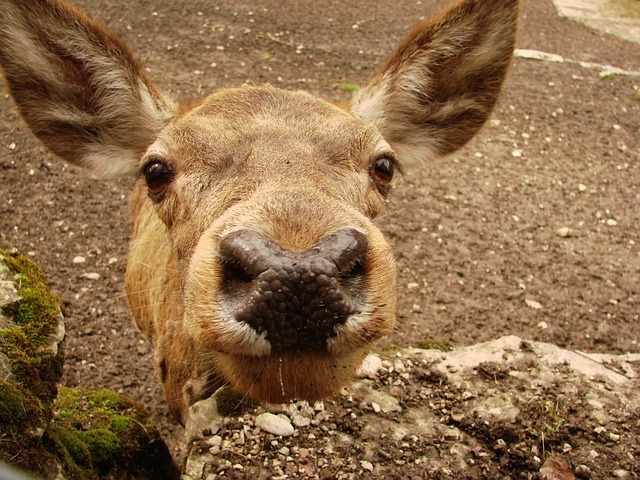 Thanks DeeOlive – what an amazing resource you’ve created for us all! As well as sharing this resource with you, you can read the recent interviews I’ve published with contemporary female perfumers Emma J. Leah of Fleurage and Sarah McCartney of 4160Tuesdays. These interviews are fascinating reads into the work of two innovative and brilliant female perfumers. I hope to bring you more interviews with other female perfumers in the near future! Today, in honour of female perfumers, I’m testing and briefly reviewing for you a quartet of fragrances by renowned female perfumer Sophia Grojsman. Grojsman created such popular and well-known fragrances as Paris, Yvresse (Champagne), Trésor and White Linen. 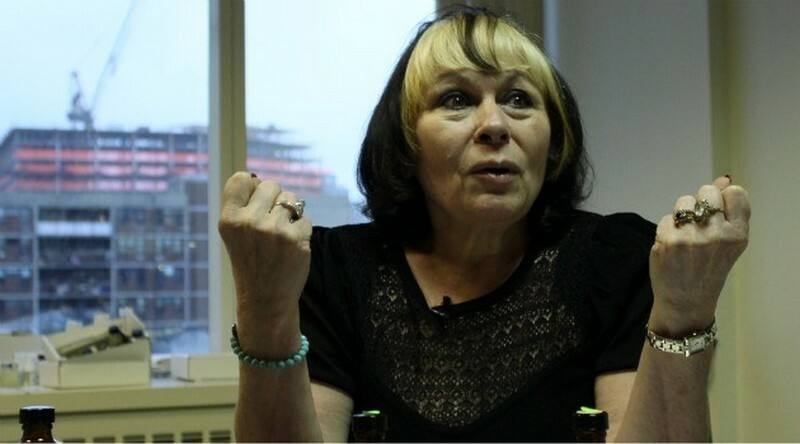 She has worked for major fashion labels and smaller, niche perfume houses to produce these (and many other) well-known fragrances, including A Lab on Fire, Frédéric Malle, Lancôme, Lalique, Estée Lauder, Yves Saint Laurent and Calvin Klein. Grojsman’s style is described by many as “baroque” and I can testify that wearing four of her fragrances at once (one small spray of each, mind) is olfactorily overwhelming. But, in her defence, I am wearing four eighties-nineties “powerhouse” fragrances all at once! The four I have on today are Paris (EDT), Yvresse (EDT), SpellBound (EDP) and Trésor (EDP). I can certainly detect a “Grojsman style” by wearing them all at once, which was one of my intentions in spraying them all on together. To me, Grojsman’s style is rich, quite sweet, complex, and the ingredients are well-blended. Certain ingredients play a starring role in each fragrance, but in the background, the impression is of well-blended “backing notes”. The feeling I get when wearing Grojsman’s fragrances is kind of like how I feel after eating a too-rich dessert: I enjoyed it, I wanted it, but afterwards I feel a little overwhelmed, and declare that from now on I’m only going to eat clean, minimalist foods like white rice, miso soup and green salad. Thankfully, this feeling doesn’t usually last very long! Similarly, I am rather fond of Grojsman’s fragrances, despite their richness. Yvresse is a fruity, sweet, floral concoction, and is hard to pin down in any traditional fragrance category. 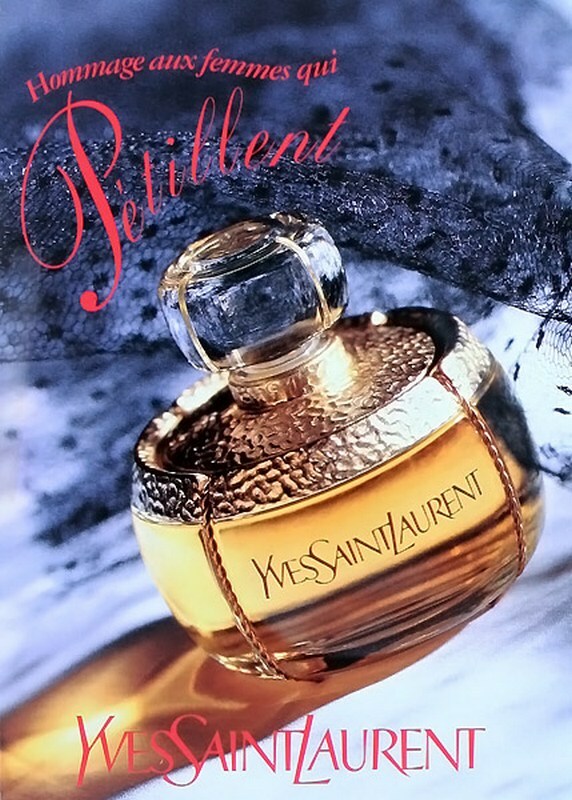 It belongs firmly in the camp of “early 90s powerhouse fragrances”. 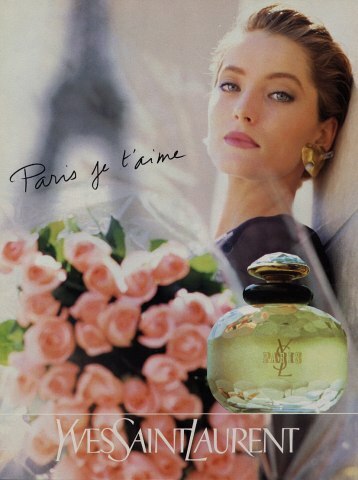 On Fragrantica.com, the most frequently detected notes among users of the site include peach, nectarine, apricot, cinnamon, lychee, rose, carnation, oak moss, caraway and violet. But to me, I smell intensely sweet plum rather than the more peachy stone fruits listed, a bucketload of carnation (to rival any traditional Caron fragrance), a sweet-sharp apple-ish rose, a slight waft of warm spice and yummy, smooth vanilla or benzoin in the deep background. It’s a gorgeous fragrance, suited to a warm day and happy occasions. 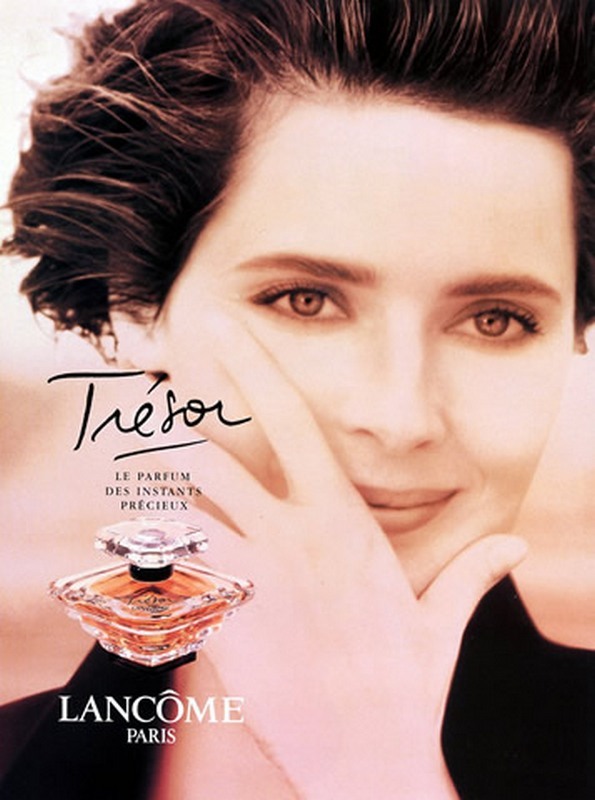 Trésor, a great commercial hit for Lancôme, is one of those fragrances that I associate with growing up as a teenager in the early 90s. I own a bottle now mostly for nostalgia’s sake, and I like it, but rarely wear it. This doesn’t mean it’s not good, but my preference these days is for ambers, woods, Orientals and Chypres, and Trésor doesn’t quite fit the bill. Trésor is basically a peach-rose-oak moss fragrance, although oak moss isn’t listed anywhere in the specs for the fragrance on Fragrantica. I love the way the oak moss offsets the sweet richness of the peach and rose; it’s almost mouldy and earthy and a little bitter. I probably should wear this more. In comparison to Yvresse, Trésor is much further along the spectrum towards “savoury”, but worn alone it seems quite a sweet and overbearing fragrance. SpellBound takes the liberal dose of carnation found in Yvresse and turns the dial up to the max. Fragrantica lists carnation, cardamom, amber, tuberose, vanilla and rosewood as the top six ingredients, but to me this fragrance is just a rich melange of sweet, fruity and floral notes. Apart from the carnation, I can’t really single out many other notes. The warmth and sweetness combine in SpellBound to create the impression of a rich and heady nectar. It’s a beautiful fragrance, and so far is outdoing Trésor and Yvresse in both sweetness and projection. Yvresse is a beautiful beast of a fragrance. It’s the epitome of glitz and glamour, and is the olfactory equivalent of gold lamé, bling and wine-coloured velvet. But it’s good, as all of Grojsman’s fragrances are: they are well crafted, well blended, balanced and distinctive, even if they are a bit too much for today’s pared-down tastes. Finally we come to Paris, another fragrance that reminds me of my teen years, filled with stolen sprays of fragrances like Paris from counters in department stores. Back in the day when perfume was too expensive for me to buy much of it, I wished I could own a bottle of Paris, but that wish has only recently come to pass. Now I have various versions of this beauty, but today I’m wearing a newish Eau de Toilette. I’d love to own a bottle of the Eau de Parfum one day, which is more majestic, complex and even more beautiful still. Paris is a celebration of the rose. Rose underpinned by violet and a bouquet of seemingly a hundred other flowers including hyacinth (which gives off none of its usual bitterness), iris, mimosa and geranium. It also includes such ingredients as musk, woods, amber and oak moss, but the overall impression is of a lush, sweet, beautiful rose. A hyper-real rose. It’s gorgeous, and the vintage Paris is even more so. 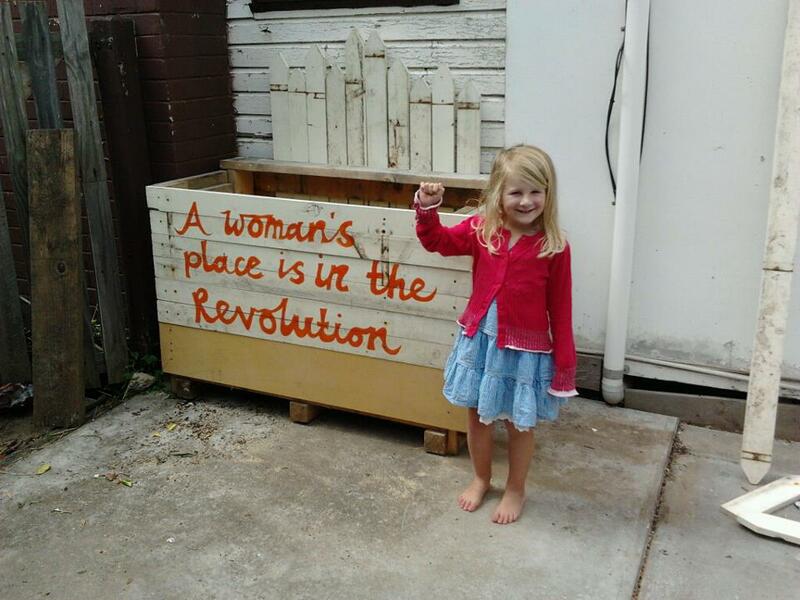 It’s been a fun exercise covering myself in Sophia Grojsman’s creations for International Women’s Day 2015. By wearing several perfumes of Grojsman’s at once, I’ve been able to compare and contrast them in a way I haven’t done before. I feel like I’ve got to know her signature style as a perfumer much better, and appreciate her work more. Do you own any fragrances made by women perfumers? Will you wear something made my a female perfumer for International Women’s Day? Let me know by leaving a comment below! Happy International Women’s Day to all my female followers and readers, and to all the female perfumers out there! This interview is the last of five, weekly instalments of Thirteen Thoughts, a Perfumer Interview Series for now. Today, London-based Sarah McCartney of 4160Tuesdays answers the thirteen questions. When I was two years old I liked the smell from our mock orange bush so much that I pushed some buds right up my nose. My mother shoved me in the pram and sprinted to the doctors. It happened in stages. I’d been dabbling with essential oils because I needed to understand the materials I was writing about for Lush. I wrote and edited the Lush Times [a printed publication produced for Lush Fresh Handmade Cosmetics] for 14 years, and a lot of that involved describing scents. To cut a long story short, I took a short break from Lush in 2010 but never went back. I left to write a novel about a problem-solving perfumer who would give each of her clients a bottle of scent to remind them of their happy times. I tried to find all the fragrances I was describing in the book but couldn’t find anything like them, so I decided to have a crack at making them for myself. Then, people would ask me how the novel was coming along, but instead of wanting to read my book, my friends and family kept asking me to make them scents to sum up their happy memories. 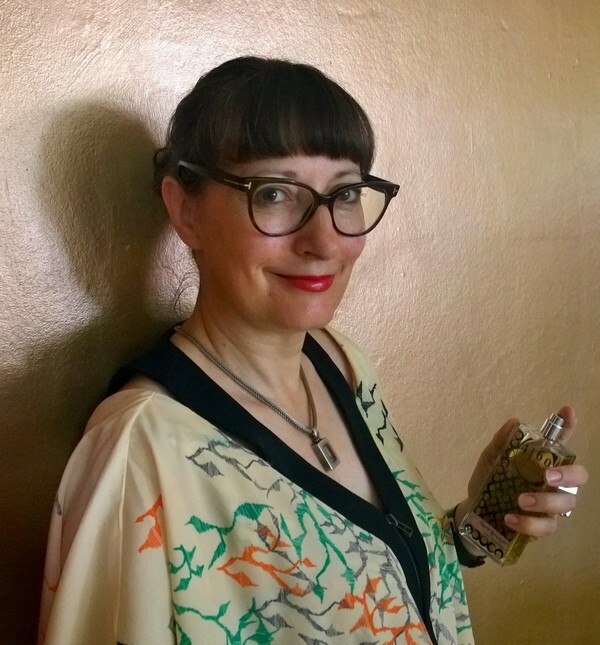 I met Odette Toilette [a “purveyor of olfactory adventures”, also from London] one day at a friend’s house, got out the fragrances for her to smell, and she organised one of her Scratch + Sniff events which featured them, and Liz Moores’ scents too. Jo Fairley of The Perfume Society was in the audience, and so were Claire Hawksley and Nick Gilbert from Les Senteurs. Jo wrote about me and Nick talked Claire into stocking my perfumes. That’s about it. Often I’m described as self-taught. That’s not quite true although I haven’t been to perfume school, and I haven’t studied alongside any other perfumers. What I did do was read every book I could get my hands on – I was always the school swot – and I took Karen Gilbert’s courses, mostly to get my hands on synthetic raw materials which are very difficult to experience outside the big companies. Very hard to get in small quantities when you’re working alone. I also did the Perfumers World one week course in London a couple of years ago, and bought up over a hundred 10 ml bottles of synthetics to take away with me and study at the end of it. I’m about to start another course because you can always learn more. Mind you, I think the advantage not having learnt the way that you’re supposed to do things means that I have approached my perfumes in ways which I have since been told are impossible. If I’d believed there were impossible perhaps I never would have tried them. Of course it turns out that many of them are perfectly possible; it’s just generally not done. Learning from someone else can make things a lot quicker but it can put the blinkers on you. What I do is learn in stages. I’ll find out that I need to sit down and do another great stack of learning to take me to the next place that I need to be. So I sit down and do it. I just look for scents that make me love them, then I’ll often find that their perfumers have also made other things I adore. I like Jean-Claude Ellena’s deeper scents like In Love Again for Yves St Laurent, and Bois Farine for L’Artisan Parfumeur, and Olivia Giacobetti’s Tea for Two. I love Lipstick Rose by Ralph Schweiger for Editions de Parfums Frédéric Malle. For the same company Dans Tes Bras by Maurice Roucel, who also did the wonderful Tocade for Rochas, New Haarlem for Bond No 9 and Guet Apens for Guerlain. All quite brilliantly delicious. It’s well worth looking on Basenotes.net perfumers directory and clicking on the name of the perfumer who made one of your favourites. Although some of their works may seem to have nothing in common with each other there will be something that links all, a common olfactory thread. That’s what I find, anyway. Houses: I’m very fond of Guerlain, Frederic Malle, Serge Lutens and Les Parfums de Rosine. As I started by trying to create scents which recapture people’s happy times, I had a habit of making things which have a certain retro feel to them. People and the press described them as “vintage”. I then discovered that the way in which I blend materials was in use in small perfumeries in the early 20th century to around about the 1960s, when the GCMS [Gas Chromatography Mass Spectrometry] machines started to take over. My style is to use a complex natural material (all natural is complex) enhanced or boosted by complimentary synthetics, and it turns out that this was the way perfumes were made for decades. I didn’t know that, I just did it because it suited me; it got me the results that I needed. I don’t have a thing about using naturals or synthetics; I use whatever will make the right effect, as long as it’s safe, not endangered, complies with EU regulations, is cruelty free, available to me and affordable. Some materials are only available through the five major fragrance and flavour companies that manufacture them. I’m not worried about perfume fashion, as I seem to be ploughing this vintage furrow of my own, so it doesn’t bother me if I miss out on the latest magical molecule only available from one of the big guys. As for the rest of the company, I aim to be kind, fair, and to keep my perfumes affordable. I am not a fan of that school of marketing which insists that you charge the earth for your products if people are daft enough to pay it. I’m not targeting the super-rich (except for one particular perfume, but what I do for bespoke customers is another story). I want my friends to be able to buy them. 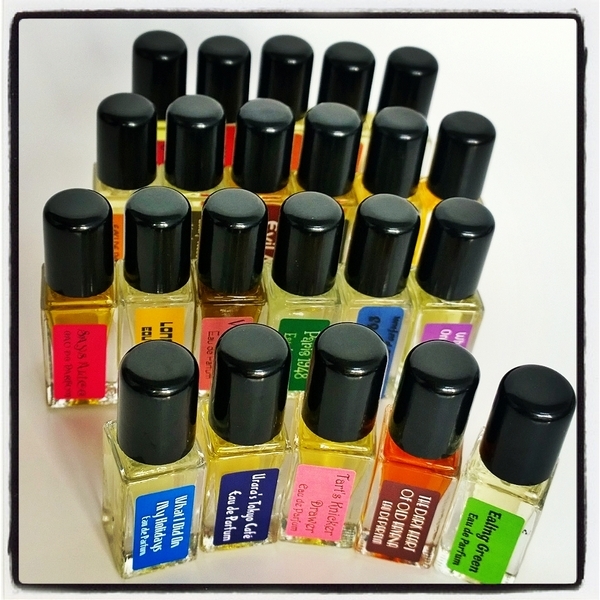 Even if I do make an extrait from super expensive materials I’ll still sell 4ml bottles so everyone can have a go. There’s a lot of poppycock talked about perfume; I don’t subscribe to it. It all depends on the scent. Sometimes I think of a name, then I have to make perfume to fit it. Inevitable Crimes of Passion is one of them (that’s not out yet). Often, I’m trying to capture a place I’ve been to or a memory I have, like The Dark Heart of Old Havana or What I Did On My Holidays. It can be someone else’s idea. I would never have made Rome 1963 if Peroni hadn’t asked me to create it for them, and sent their stylist, Silvia Bergomi, to work with me. She had a really clear idea of what she wanted which was great because we only had a day to make it. So then I ended up with a white flowers, woods and tobacco fragrance which I probably wouldn’t have started because I was never that fond of white flowers. Centrepiece is made with frangipani that I had bought in specially for a bespoke project, then when my new friend Mohammed Fawaz visited the studio, he picked it out, with a handful of other materials he liked and said, “please would you make me one that smells of these?” So I blended them with some other materials to make it all work, and the result was what I suspect will be our next bestseller. It’s not in my nature to create something to fill a gap in the range, but it happens like that because of circumstances. Sometimes I just wake up in the morning knowing I have to make something. Midnight in the Palace Garden (in progress) is one of those. Occasionally I do it as an intellectual exercise, which is actually the way that The Sexiest Scent On The Planet. Ever (IMHO) came about. It was a base that had to provide smoothness and softness for blending with gin botanicals. It just turned out that this smoothness and softness was exactly what people wanted – by itself. Perhaps they would be interested to realise how important the maths is. I spent 20 years thinking that my two maths A levels and half a maths degree had been a complete waste of time, and although I never use advanced calculus these days, when I have to do some scaling up or down and some averagely complicated maths to work out what proportions of different blends I need to use, or how to create the final formula for materials I’ve used at different concentrations, that’s as easy as falling off a log. I’ve seen people turn pale at the idea of just having to multiply their formula by a factor of 10. If you want to make your own perfumes, and you’re not that hot at maths, you’ll need to get someone to sit next to you who is. I do hate sales. I’m not good at picking up the phone, leaving a message, then picking it up again the next day, and the next. I don’t really like negotiating, or having to make new contacts. I love it when shops call me and ask if they can stock my scents. Fortunately that happens quite a lot, but I still have to allocate time to getting out there and into more shops. I spend too much time answering people’s emails, doing the accounts, doing the stock checks, chasing up all the EU safety data I need for certification, sending links to press photos, getting deliveries to the right places at the right times. I just want to be in my creative corner making lovely things. Creatively, I don’t really mind the regulations, as they force you to use your ingenuity. Distribution, as you well know, is a complete nightmare now that perfume is classed as Dangerous Goods. How I wish I could get mine to Australia. Every box I pack to Lucky Scent, our biggest stockist in the US, plus the goddamn paperwork, takes half a day. Everyday smells are a constant source of inspiration. I walk past the Acton water processing works every morning and evening, so sometimes there is a very strong smell of poo, and I just think, “Hmmm, indole.” Cat pee is buchu essential oil or blackcurrant bud absolute. Yesterday on the bus someone stank more of garlic than I thought it was possible to stink; I just find it interesting. Shrubs can stop me dead in the street. Some beguiling flower will be wafting a glorious fragrance and I have to track it and trace it and stick my head into its source. One day I’ll probably get arrested. I’ll also spend a lot of time with my nose stuck in my husband’s glass of port, until this starts to irritate him and he asks if he can please drink it. I used to be very sceptical about people who said they could detect caramel or black currants in wine, but now it seems obvious. Scents have stopped being good or bad to me and have just become more interesting. I’d like to eat opoponax. I’m quite happy working now, in the style of the 1920s to the 1970s. 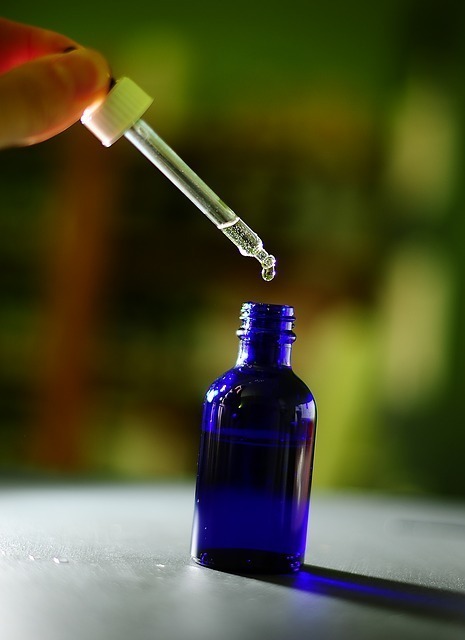 I would invent the process that enables rose absolute, jasmine absolute and geranium essential oils to smell exactly the way they do and not be restricted for cosmetic use. Perfume is for making new memories and recalling distant ones. I hope you’ve enjoyed the final instalment of Perfume Polytechnic’s first Perfumer Interview Series with Sarah McCartney of 4160Tuesdays. Further series of Thirteen Thoughts will feature on Perfume Polytechnic in the near future! I want to thank Sarah for taking time out of a very busy schedule to answer these questions. I loved all of her interesting and amusing answers, but particularly loved reading about how her idea for a novel turned into a new career as a perfumer! I also like how Sarah aims to make her fragrances affordable to all. If you’d like to find out more about 4160Tuesdays, visit the website. You can also find 4160Tuesdays fragrances listed on Fragrantica and Basenotes. 4160Tuesdays is currently crowdfunding to create a new range of seven fragrances: The Crimes of Passion series. If you’re keen to read about the project and help out, click here. You can buy Sarah McCartney’s novel The Scent of Possibility here. Last week, Paul Kiler of PK Perfumes was interviewed. You can catch up on his interview here. In week three, Angelo Orazio Pregoni of O’Driù answered the thirteen questions. You can read his very unconventional answers here! If you’d like to catch up with week 2’s interview with Mark Evans of Evocative Perfumes, click here. Emma Leah of Fleurage was interviewed in week 1 of Thirteen Thoughts. To read Emma’s interview, click here. I’d like to extend a warm and hearty thank you to all of the perfumers who participated in this first series of Thirteen Thoughts: Perfumer Interview Series. I hope to be back shortly with a new series of Thirteen Thoughts, featuring interesting perfumers from across the globe. Suggestions on who you would like to see interviewed in the future are welcome, please share your ideas with me in the comments section below!